Bellbirds / Korimako: Art and Science! This week we have been learning about the colour wheel and colour mixing ready for our Painting topic. 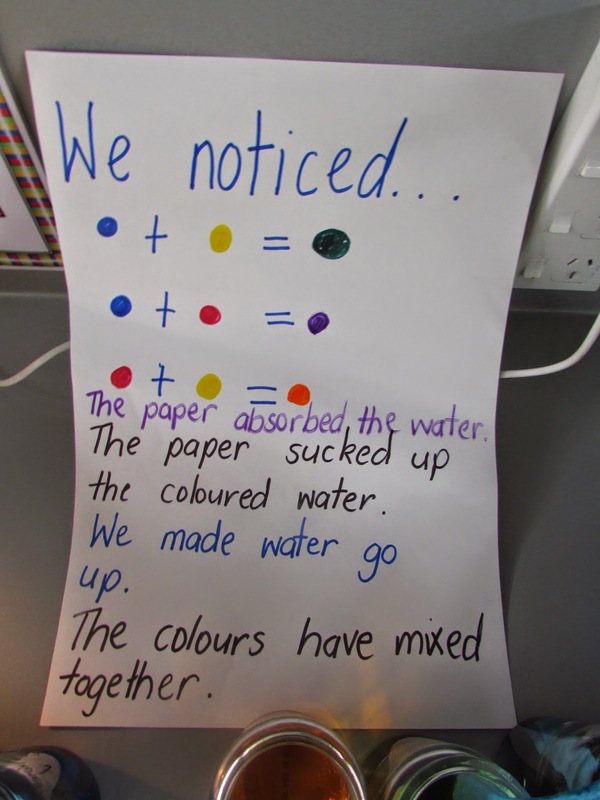 We know that red, blue and yellow are the primary colours and we know we can mix these colours to make new colours. 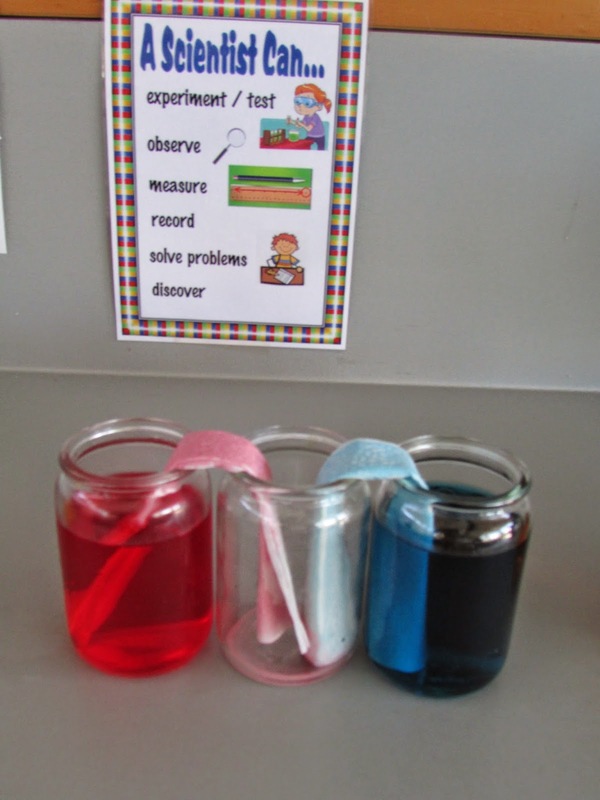 We set up this experiment using food colouring in water . We now know that water can go up! The colours mixed together very quickly. Watch out for some more colour experiments in the coming weeks! We have been busy Bellbirds!